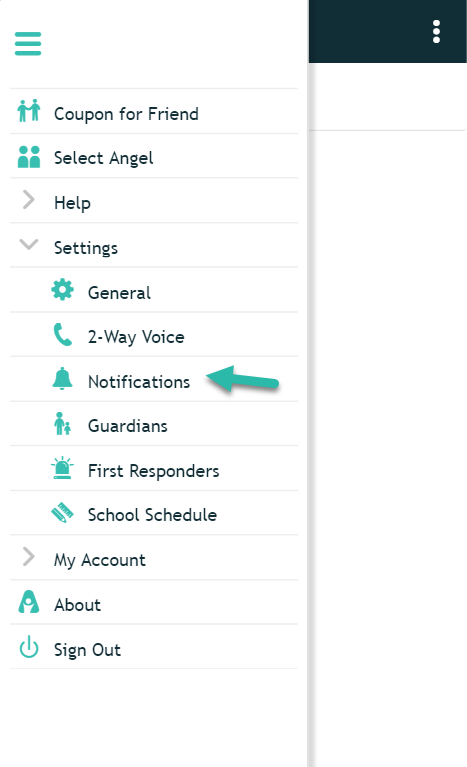 As an AngelSense Guardian, you can configure how you wish to receive arrival and departure notifications within the app itself. 1. Click "Settings" from the Menu on the left hand side and then click "Notifications"
2. Check the boxes to update how you wish to receive notifications. 3. Click on "Save" and you're Done!